This is our first competition of the year and it’s a doozy: one lucky winner will be dining with the gods at the Cafe de Paris. One of the finest shows of last year is getting a bit of an upgrade and we can’t pretend we’re not a little bit excited. 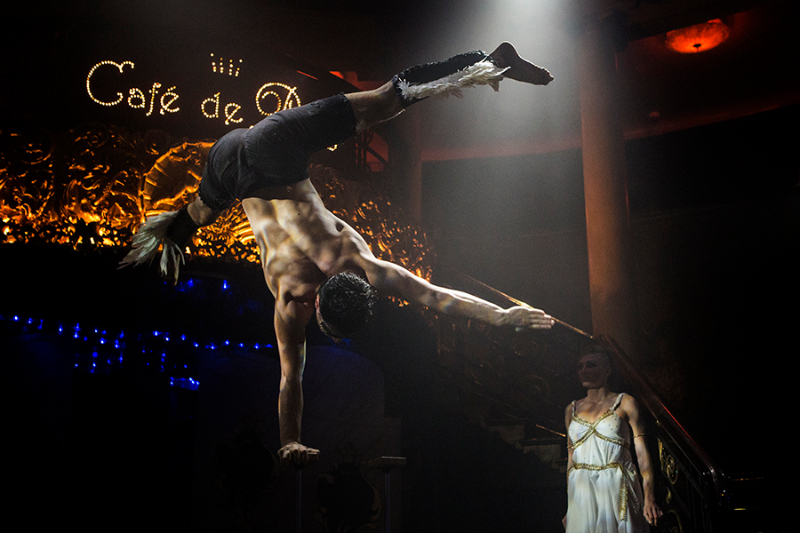 Held on Fridays in the Cafe de Paris’ famous Titanic ballroom, the London Cabaret Award-nominated Cabaret des Distractions is a conceptual variety show that takes the audience deep into a mythological love story which unfurls around and above them. The vision of Australian singer and compere Reuben Kaye, this feast of music, circus, sideshow and burlesque is inspired by the Féeries of 19th century Paris. The show is quite unlike anything else in London as one lucky winner may soon be attesting to. ● Join the cutest cadre of fans ever on our Facebook page and share our competition image. ● E-mail Terms and Conditions. The ticket winner will be announced on the day. For those traditionalists amongst you, tickets for this show can be bought for £15-£75.